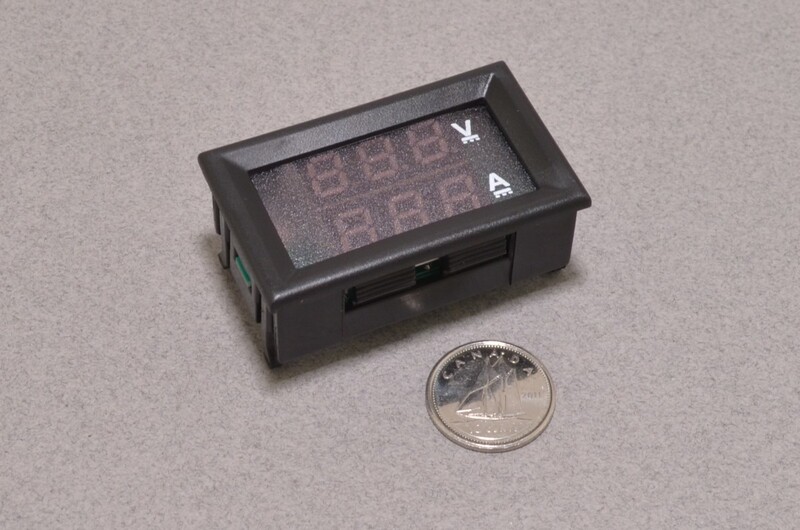 Do you need to keep tabs on the current draw of your project? How about the voltage? 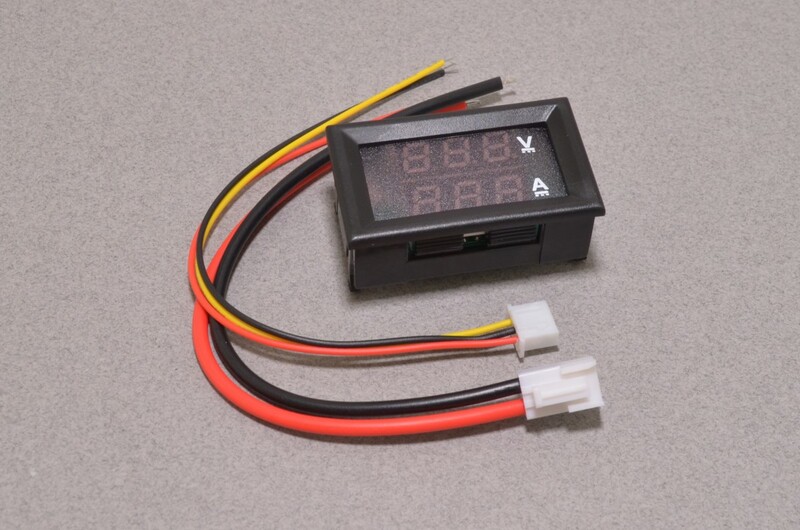 This 2 in 1 Current and Volt gauge can measure between 0.01 and 9.99A with an accuracy of +/-4% and Voltage between 0-30VDC. Tiny trim potentiometers on the back of this gauge also allow it to be adjusted. 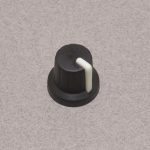 Thin Black Wire – Ground wire for gauge display. 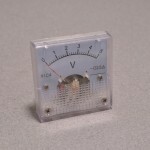 The easiest and safest way to use the meter is to have no electrical connection between the powering and sensing current. 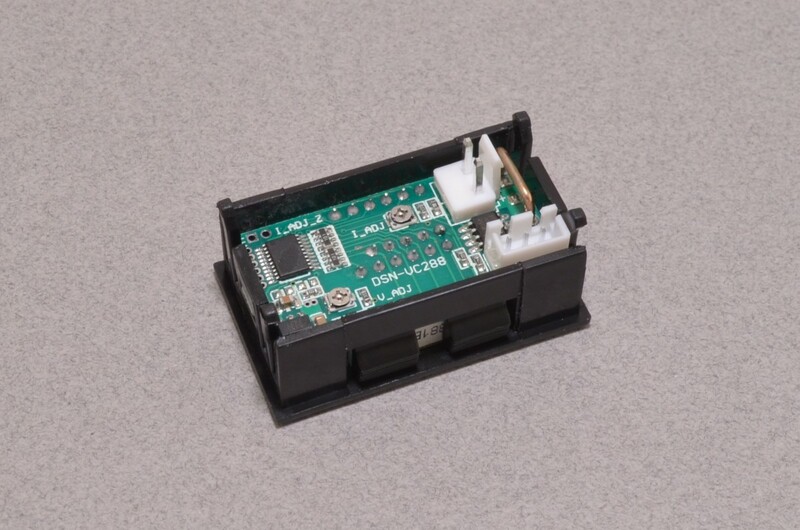 That is, connect something like a 9V battery to the thin red and black power wires and you can put the current sensor in anywhere you want in the circuit. As long as the circuits are totally separate this will work great. 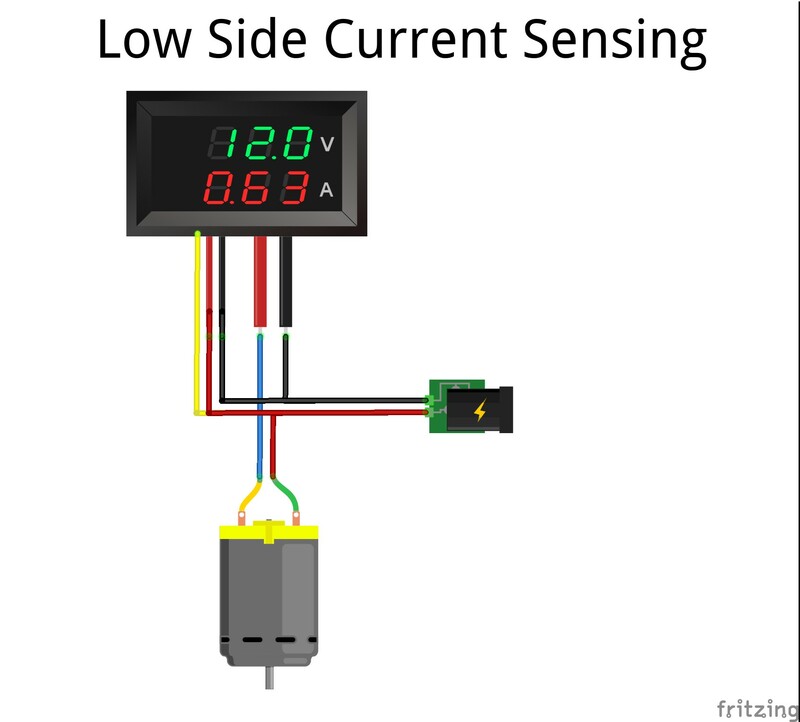 If you need to power the gauge from the same power source you are monitoring current, you will need to use low side sensing. 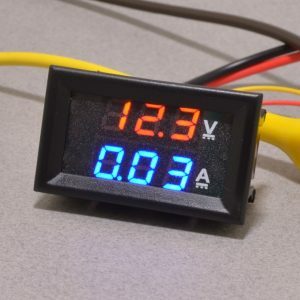 This means the you need to measure between the negative portion of the battery or power supply and the negative connection on device you are wishing to monitor. See attached image for a diagram. 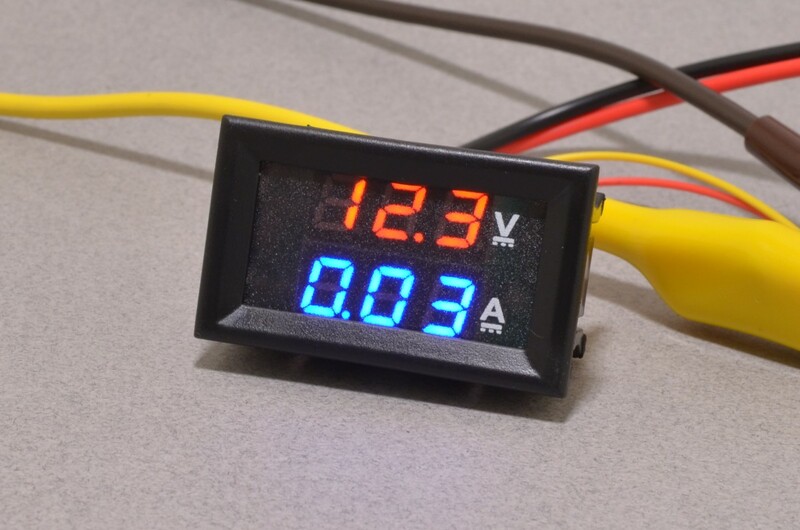 The small yellow “Voltage Sense” isn’t picky about it’s connection. 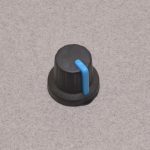 Due to the internally tied ground, this wire can be used to sense voltage level by simply connecting it to the circuit at the point you wish to monitor voltage. SKU: GAU-012. Categories: Misc Components, Electrical. 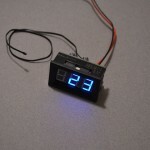 Tags: Current, Gauge, Panel Mount, Voltage.